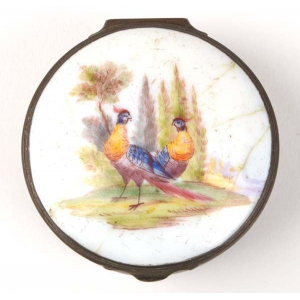 Summary: Round box with a japanned metal body and painted enamel lid of two pheasants. Description: Round box with a painted enamel lid and a metal body, with the base showing signs of japanning in cinnabar red. 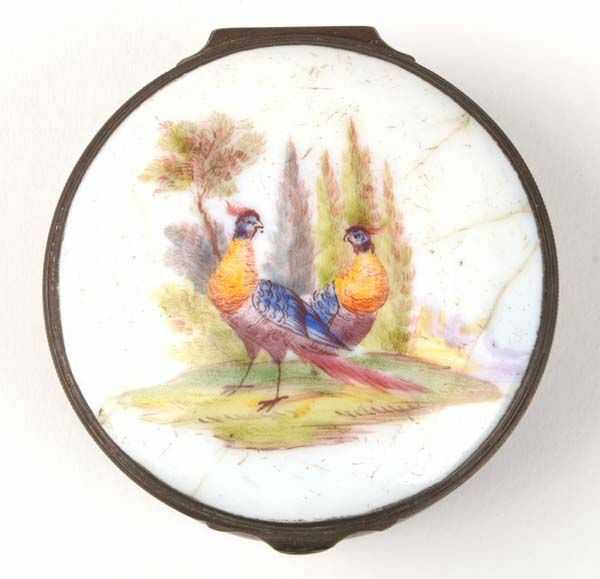 The white enamel features a design of two pheasants, which has be transfer printed and overpainted in enamel colours.